1. What is a GF-14 Garage Fan? 3. Which type of fan do I need? 4. How much power does a GF-14 fan use? 5. I have a powered gable fan, do I need a GF-14 Fan? 6. What types of fans does ABHP sell? 7. Why shouldn’t I buy an attic fan from my local hardware/lumber supply store? 8. What about buying a fan on the internet? 9. Who should install my fan? Can I do it myself? 10. How much venting do I need? 11. Which size fan do I need? 12. Do garage and attic fans have to be noisy? 13. The upper level of my house stays hot, even with the air conditioner running all day. Do you provide a fan that will help me? 14. Garages are fire rated. Does the GF-14 keep this fire integrity in tact? 15. How do I adjust the thermostat on the GF-14 Garage Fan? 1. Q. What is a GF-14 Garage Fan? A. 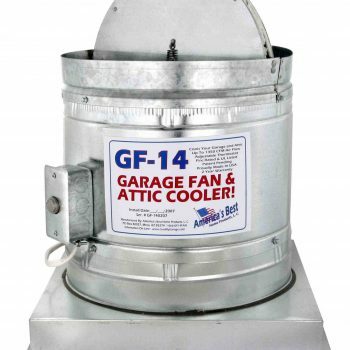 The GF-14 Garage Fan and Attic Cooler has been specifically designed to cool the garage and attic. It’s purpose is simply to keep the air in the garage and attic from overheating. They turn on and off automatically via a thermostat and pull fresh air into the garage and exhaust into attic pushing the superheated air through the existing attic venting. In a conventional house with flat 8′ or 9′ high ceilings, a GF-14 can reduce the temperature of the rooms under the attic by about 10 degrees Fahrenheit. They also remove some heat load from the air conditioning system and allow the house to cool off more rapidly, especially at night. 2. Q. What is a GF-14 Garage Fan and how does it work? A. It’s a large, 5 Blade Fan that usually sits on the floor of the attic mounted in the garage. 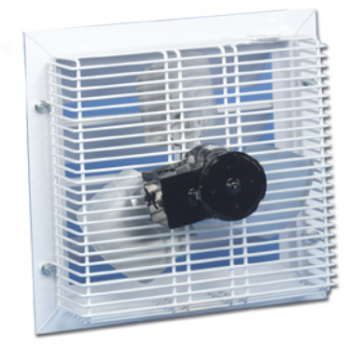 The fan is mounted using mounting brackets and a hole is cut through the ceiling directly under the fan. A white grill is placed over the hole. The fan draws air into the garage from the intake grills mounted in the garage door, creating a breeze to the fan, removes the hot air in the path of that breeze and blows the air into the attic and then blows the very hot attic air out of the attic through the vents, allowing the house to cool down naturally. 3. Q. Which type of fan do I need? A. That depends on the type of house you have and what you want to accomplish. If you have a ranch house with air conditioning and you want only to reduce your air conditioning costs, then a GF-14 Garage Fan is the way to go. If you have a conventional two story with HOT ROOMS upstairs and you just want to reduce the temperature upstairs by 6-8 degrees then a GFT-16 or 18 in the garage is just the ticket in conjunction with our Solar Powered Attic Fan in the upper attic. 4. Q. How much power does a GF-14 Fan use? A. Very little, about the same as a 60 watt light bulb. If your fan runs from May to November like it does all along the sunbelt states, the cost is about $20-30 dollars for the season. Much, much less power than an air conditioner uses to cool the effect of hot attic air. You can run the GF-14 Garage Fan for 10 summers for the same cost as running an air conditioner for 1 month! A solar powered attic fan uses solar energy from the sun and is not connected to the electric system of the house and also will help cool the attic. 5. 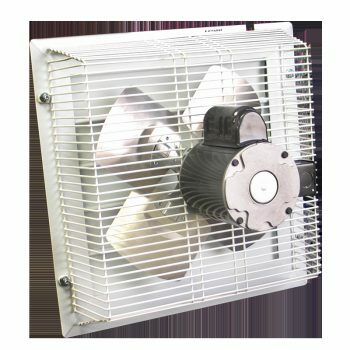 Q. I have a powered gable fan, do I need a GF-14 Fan? A. Probably so. You can use the powered gable fan to blow the hot air out of the attic at any time. Some customers go ahead and install a GF-14 Garage Fan through the ceiling in the garage in order to provide some additional ventilation and to feed the power vent to work more efficiently. The new solar powered attic exhaust vents are a clever option. 6. Q. What types of fans does America’s Best sell? A. We sell only top quality garage fans, attic exhaust fans, and solar powered attic fans. We manufacture the GF-14 and GFT-16 and 18 ourselves. The GF-14 is the number 1 selling garage fan for 10 years now. 7. Q. Why shouldn’t I buy an attic fan from my local hardware/lumber supply store? A. Your chances of buying an attic fan locally, that is worthy of being installed in your home are very, very slim. The big box stores tend select the cheapest and most poorly engineered fans available for their customers. These fans have two advantages: they are cheap and they can be returned. They have several disadvantages: they are usually very, very noisy, poorly made, usually un-repairable due to the unavailability of spare parts, and often not supported by either, the retailer, manufacturer or installer. Usually the store that sells them refuses to install them. If a problem with the unit should arise, no one wants to take responsibility. Each year we remove many of these fans installed the year before because the home owner cannot stand the noise or cannot get them repaired. We have also encountered this interesting situation: the homeowner is selling the house and the realtor tells him to get that horribly noisy fan fixed or have it covered with drywall. We have to advise him that the sound he is hearing is the sound of the fan; the only repair is to replace it completely. Not a pleasant thought compared to originally installing well made but somewhat more expensive equipment to begin with. Attic exhaust fans are a different story, however. There is not much of a quality range in these units and as long as you install a roof mount fan you should have no difficulties. We offer a complete line of Solar Attic Fans. 8. Q. What about buying a fan on the internet? A. There are many types of fans available on the internet. Most retailers have a great reputation and will go to great lengths to have a happy customer. 9. Q. Who should install my fan? A. Your best bet is someone experienced. While some people may be able to do the installation, make sure that they are familiar with all aspects of a fan installation. And ask for or find a local handy man that offers an installation warranty? 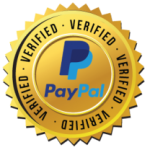 We offer National Installation when you purchase on our website. 9b. Q. Can I install it myself? A. If you like, we will be happy to just sell you the fan and all necessary components. We will be available for a free telephone consultation if you run into difficulties. 10. Q. How much exhaust venting do I need? A. The total venting required for a particular size fan is 1 to 3 feet of venting originally installed by the builder or subsequent owners. Lack of sufficient venting means that the fan will try to blow out more air than can possibly get through in time, causing the air flow to be less than optimum. Think of the loss of performance similar to that of an automobile when the transmission is not shifted into the proper gear. The fan will bog down trying to get more air flow. It is not important where the ventilation is located. The fan will blow the air out of the attic no matter where the vents are located, as long as the air path is not blocked off. 11. Q. Which size fan do I need? How much intake venting do I need? A. The GF-14 or GFT-16/18 is adequate for a 2 or 3 car garage. You should have at least 1.8 square feet of intake and exhaust to get the desired results. Our grills are included with each fan and meet this requirement. 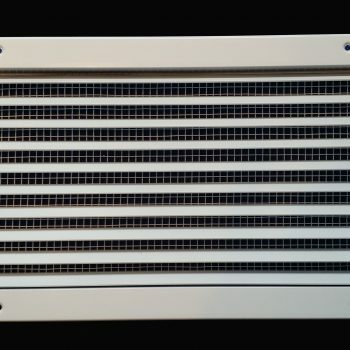 We also have premium intake vent options available. A. In a word: no. But there are several problems that fans to be noisy. 1) Most fans sold in the big box stores are inherently noisy to begin with! They are usually poorly engineered in order to produce a cheap fan. If you buy any badly designed or built product it will perform poorly. A cheap attic fan will be more expensive and aggravating in the long run than a well made fan. 2) Most attic fans are poorly made and rattle when the fan is running. 3) Most installations are poorly done. Even the manufacturers’ instructions are inadequate and are written to make the fan easier to install, not to operate at minimum sound levels. We have been installing fans for over 10 years and have learned how to install them so that they operate quietly. 4) Many attics are not ventilated properly for garage and attic fans to operate quietly. If the air cannot exit the attic quickly enough the remaining air in the attic will cause back pressure against the fan, causing it to run more noisily. By appreciating and correcting all these problems, a GF-14 Garage Fan will run very quietly (55-65 db) and have a lifespan of 10 years or more! Quiet operation means that you can have a conversation standing directly under the fan without raising your voice to much. Most houses have insulated walls between the house and garage and helps deaden any sound of the garage fan operation. 13. Q. The upper level of my house stays hot, even with the air conditioner running all day. Will an attic fan help me? A. An attic fan is probably the only economical way to solve your problem. As you recall from 3rd grade: hot air rises, cold air falls. That’s the reason that air conditioning and evaporative coolers have such a difficult time cooling the upper levels of a house. By blowing out the concentrated hot air as well as the super-heated attic air, an attic fan effectively reduces the load on the air conditioner, allowing it to work more perfectly and, on some days, eliminate the need for it altogether. 14. Garages are fire rated. Does the GF-14 keep this fire integrity intact? A. The GF-14 Garage Fan is equipped with a fire damper that is held open with a 212 degree fusible link to allow the air through the fan. In case of a garage fire this link melts and closes the damper keeping the flames out of the attic for up to 3 hours. Also the GF-14 Fan motor shuts off at 185 degrees. 15. How Do I adjust the thermostat on the GF-14? A. Turn off the power to the fan. Then remove the cover plate on the electrical junction box, the thermostat is the round button in the middle of the face plate. The adjustment is on the back of the thermostat. Remember that there is an 8-10 degree thermo lag. That means that if it is set at 105 from the factory the fan will shut off around 95 degrees. The lower the setting the more it will run.